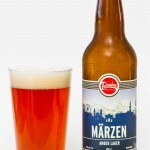 One of Bomber Brewing’s first seasonal releases was the Marzen Amber Lager. It was such a hit that shortly after selling out at the brewery a second batch was brewed and bottled for your drinking pleasure. 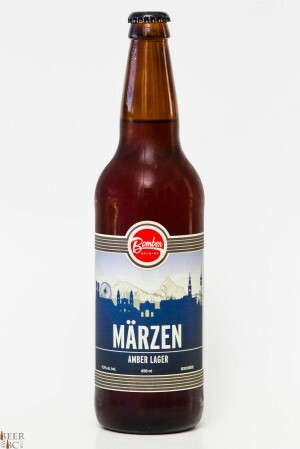 Available in 650ml bomber bottles the Marzen is a German style lager for the BC Summer. This beer pours an amber-copper colour slightly darker than expected. 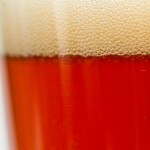 The head is a little over a finger’s thickness and settles without much in the way of lacing left on the glass. 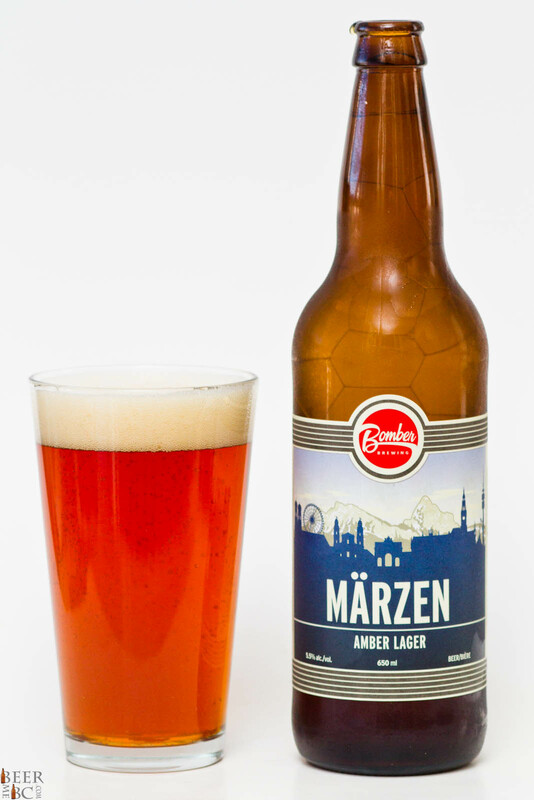 The aroma is light and crisp with malt-forward notes like you would expect from a German style lager. A mild sweetness does come into play along with a touch of hops. The flavour light and fresh with a light sweetness to it. The body is rather full as well giving a light creaminess, malt-forward taste experience. 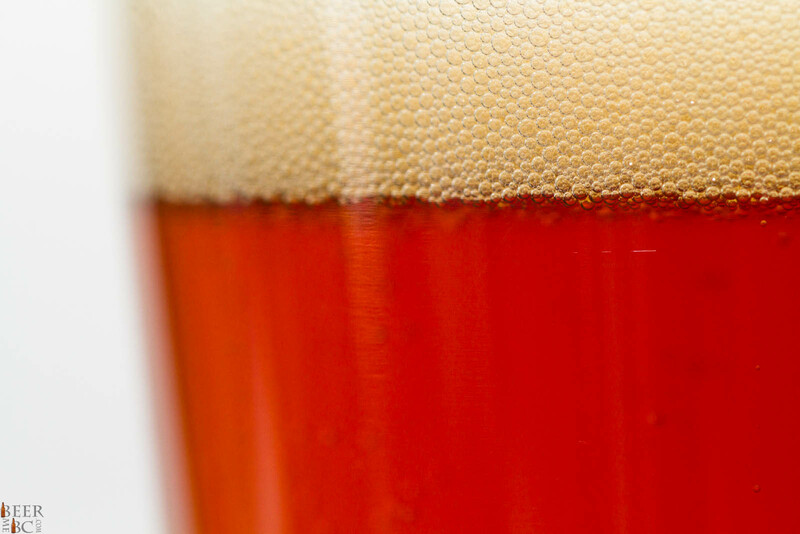 With a bigger than expected body but remaining light, fresh and easy drinking this is a perfect beer for summer while giving the flavours that you crave in a British Columbia brewed craft beer.